I'm now providing chart rectification services for clients who don't know their exact birth time. (1) Your birth certificate. (2) Ask your parents or someone else who was there. (3) Your baby book. (4) Your newspaper birth announcement. If you cannot find your time of birth, I can help you find it by working backwards through the transits, progressions, and solar arcs that coincided with important life events. This is called a chart rectification. Using this technique, I can make a highly educated estimate of the degree of your ascendant and midheaven, and therefore your time of birth. No rectified chart is as certain as a chart with a verified birth time. Nonetheless, the angles of the chart provide important information for any chart reading. This is how it works: after booking, you'll receive a link in your email to provide me with some information. We'll schedule a 30-minute Skype consultation about your birth information and events. Once I rectify the chart, I'll email you with your new chart and a short explanation of how I arrived at these calculations. 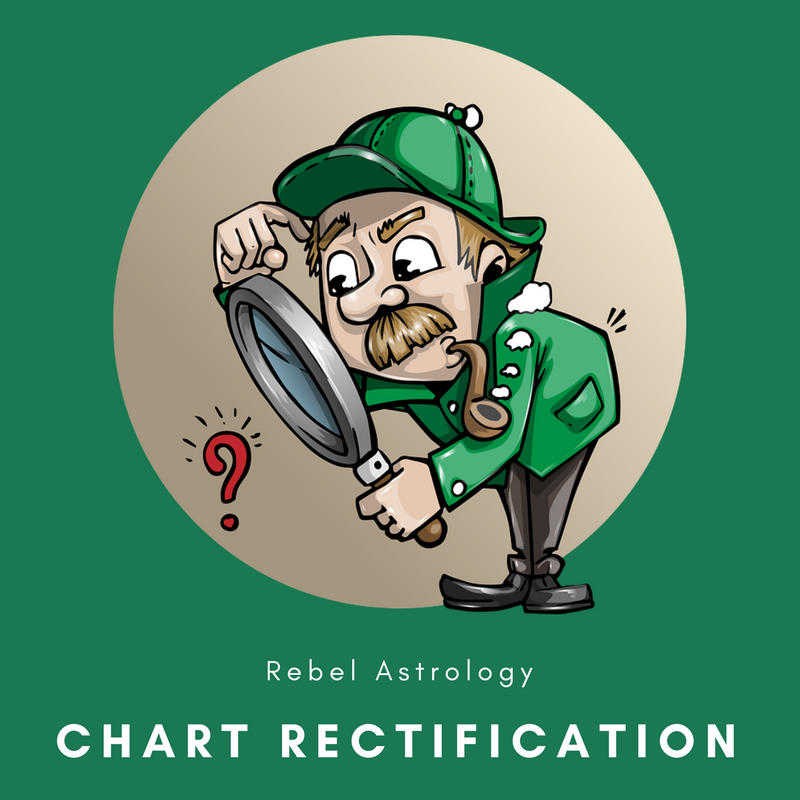 You should have your rectified chart within two weeks of consultation. The price is $199. This reflects the time spent in the consultation as well as the significant time spent rectifying the chart. Clients without a birth time need to have their charts rectified before ordering reports or booking readings.